Can you imagine arriving at your wedding and finding the flowers wilted and the photographer a no-show? Don't let this happen to you! 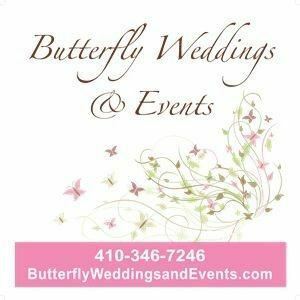 When you use Butterfly Weddings & Events you can relax knowing that you hired a professional wedding coordinator. Through our contacts in the wedding business, we can match you with the right professionals, from caterers to florists, to turn your wedding dreams into reality. Weather you want us to do everything or to guide you only where you need it most, we have something that fits into your budget! We provide our clients with a beautiful environment for their wedding or event, while also providing outstanding service. Using fresh flowers, candles and innovative designs, we combine our client’s personalities and styles with the architecture and elements of their space. The result is gorgeous and personalized! Are you ready to plan the wedding of your dreams? Contact us today for a complementary consultation!